The Claddagh ring is a traditional Irish jewelry item composed of a pair of hands, which symbolize friendship; a heart, which symbolizes love; and a crown, which symbolizes loyalty. It is often worn as a wedding ring or more casually as a piece of eye-catching jewelry. 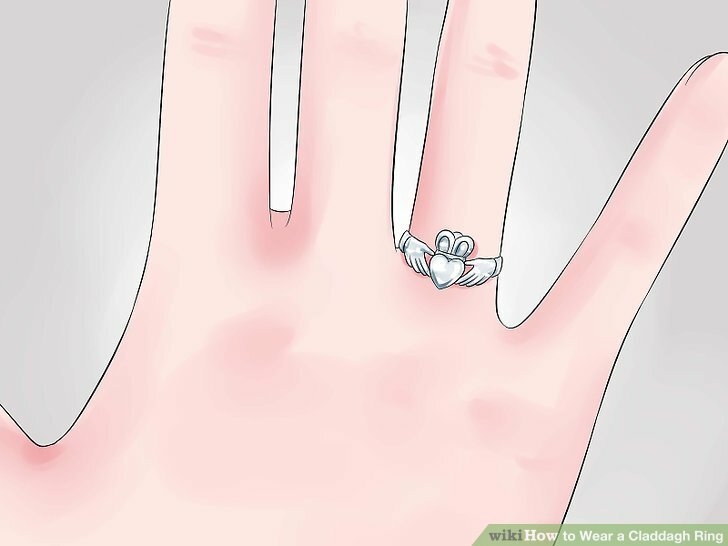 Learn how to wear a Claddagh ring, whether you choose to imbue it with romantic meaning or display it in a less traditional fashion. 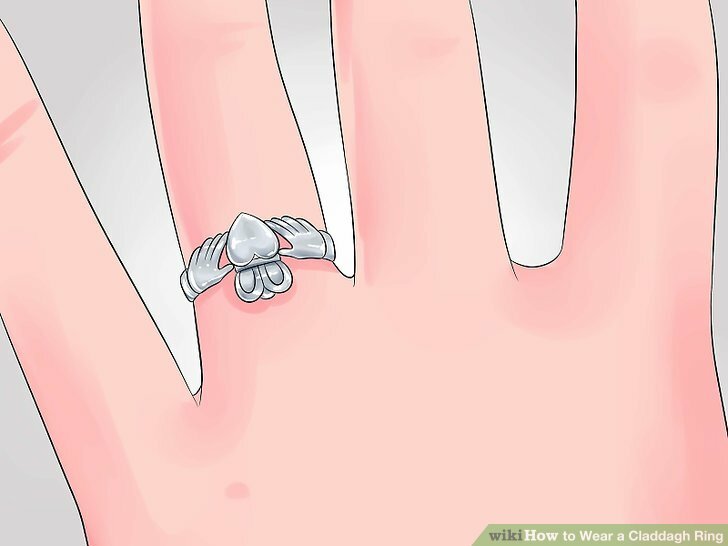 Wear the ring on the ring finger of your right hand. 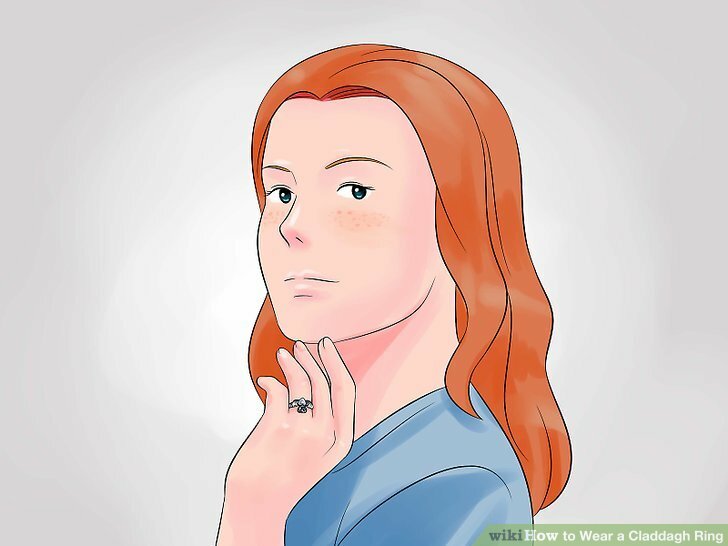 Before you get married, the ring should be worn on your right hand, rather than your left. Wearing it on your ring finger shows that you’re romantically inclined, but have not yet found the person you are going to marry. Wear the ring with the heart facing out to show that you’re single. The heart should point toward the end of your finger, rather than into the center of your hand, and the crown should point inward. This shows the world that you’re open to finding love, and that your heart is available to give to another person. 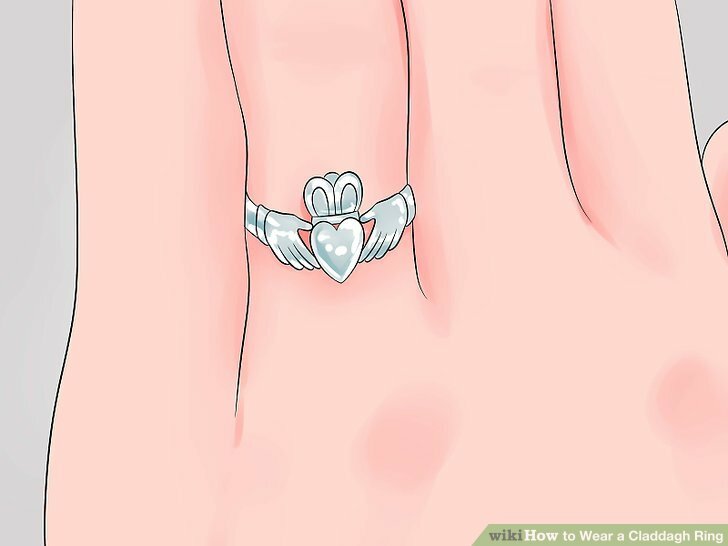 Wear the ring with the heart facing in to show that you’re dating. 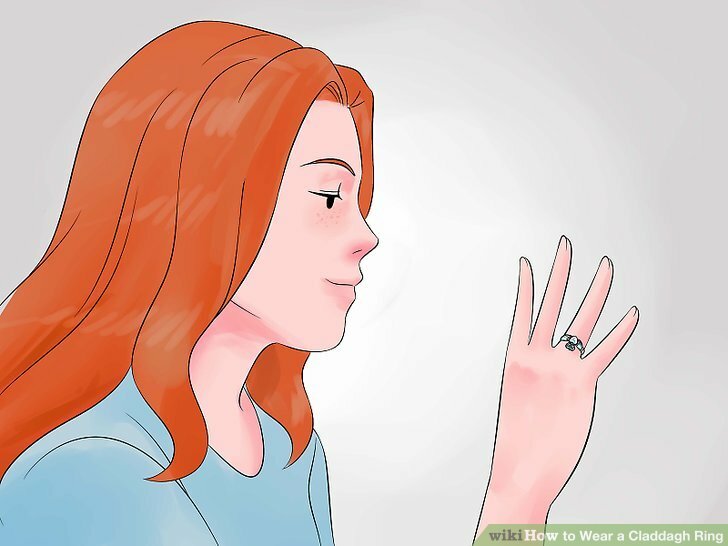 When you’ve found someone special and made a commitment to date them, turn the ring around so that the heart points toward the center of your hand. This shows that your heart is currently unavailable. Leave the ring on your right ring finger, though, since you are still unmarried. 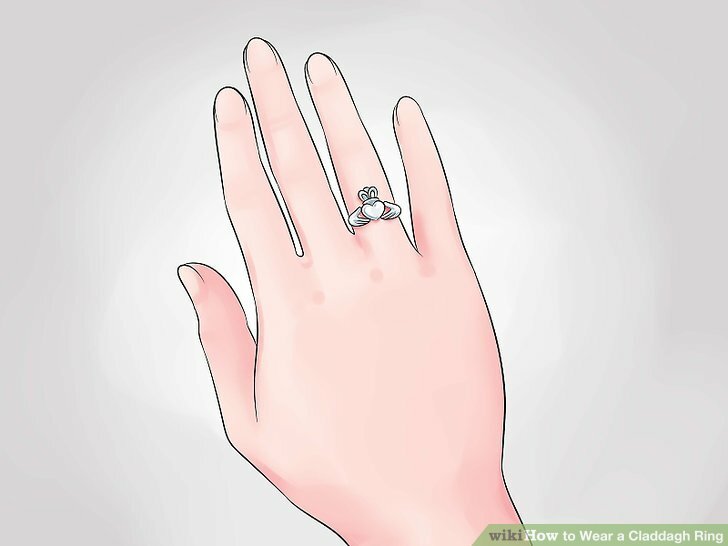 Wear the ring on the ring finger of your left hand. Wearing a ring on this finger is a traditional symbol of engagement or marriage in many cultures, and Irish culture adopts this as well. When you wear a Claddagh on your left ring finger, it’s a sign that you’ve found the one you’ll be spending the rest of your life with. Wear the ring with the heart facing out to show that you’re engaged. Before you say your vows, you can use the ring as an engagement ring. Facing the heart out shows that you’re committed, but you still haven’t tied the knot. Wear the ring with the heart facing in to show that you’re married. Many Irish people wear the Claddagh ring as a wedding ring. The heart faces in to show that you are in a permanent relationship and that your heart has been captured. The ring is reversed during the wedding ceremony. Wear the ring to display your heritage. Many Irish people wear Claddagh rings as a symbol of their Irish heritage, rather than as a way to display their romantic status. 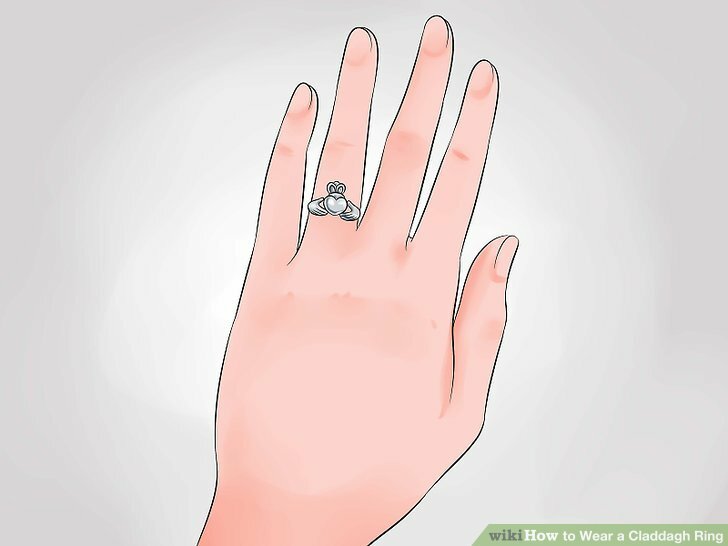 Claddagh rings may be worn on any finger and may be turned in either direction, whichever is most comfortable for the person wearing the ring. They don’t have to be worn to indicate a romantic status, and can be worn on the left ring finger without a relationship or engagement or a marriage. Some people wear Claddagh rings on necklace chains, rather than on their fingers. Claddagh rings may also be worn on bracelets, or kept in the pocket as a charm. Wear the ring to remember someone special. Claddagh rings make meaningful gifts for friends and relatives, whether or not romance is involved in the equation. 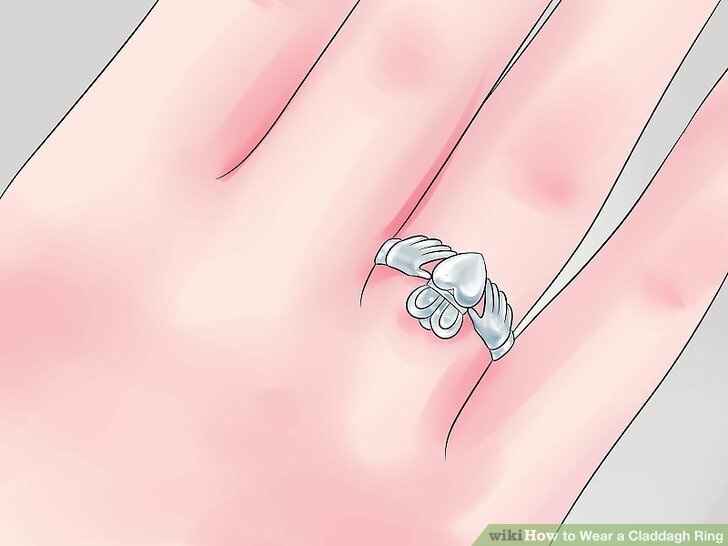 If you received a Claddagh ring as a gift and would prefer not to wear it to show your romantic status, it’s just fine to wear it however you choose.